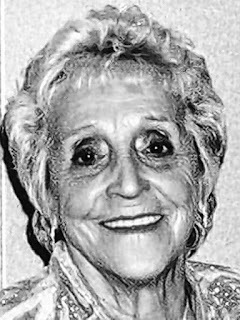 RATHMAN - Lydia (nee Militello) of Lackawanna, entered into rest June 21, 2018; beloved wife of Richard G. Rathman; cherished grandmother of many grandchildren, great-grandchildren and great- great-grandchildren; loving daughter of the late Salvatore and Mary Militello; dear sister of Salvatore and the late Michael, Thomas and Mark; also survived by nieces, nephews, relatives and friends. Relatives and friends may visit the LOMBARDO FUNERAL HOME (Southtowns Chapel), 3060 Abbott Rd., near Lake Ave., on Tuesday from 3-8 PM, where Funeral Service will be held Wednesday morning at 9 o'clock. Interment White Chapel Cemetery.